It’s Election time New West! (But you already knew that, right?) 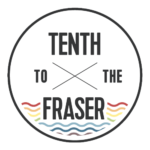 Saturday, October 20th is the big day to reach for the pencil and select your choice for Mayor, Council and School Trustees. There are a number of All Candidates Meetings popping up around town. 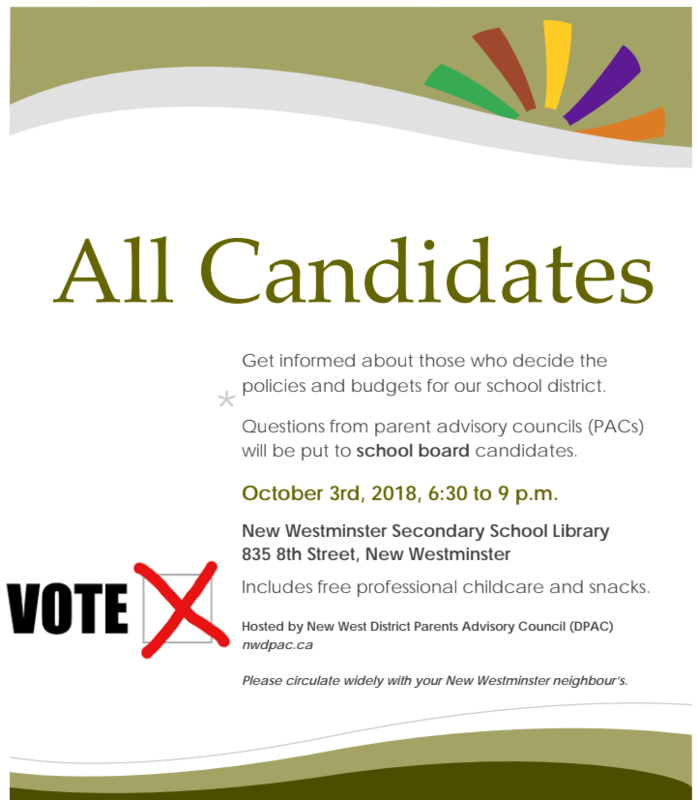 On October 3rd the New West District Parents Advisory Council (NW DPAC) will be hosting an all School Board Candidates Meeting. 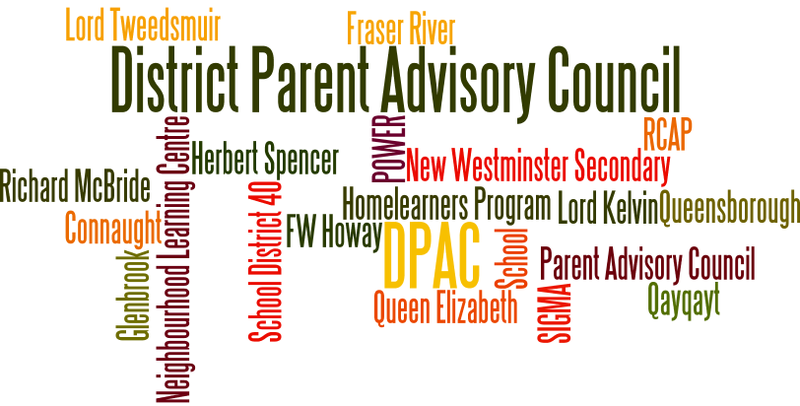 Questions from the 12 parent advisory councils (PACs) that make up the DPAC will be put to school board candidates. Find your school’s PAC contact information on their webpage. The event will be held at New Westminster Secondary School’s Library at 835 8th Street in New Wesminster between 6:30 and 9pm. Professional childcare and snacks will be provided. No RSVP required, just show up!